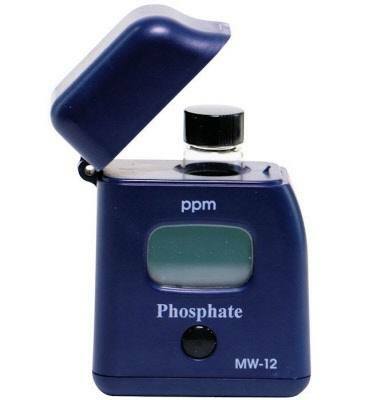 The MW12 Phosphate Colorimeter provides reliable measurements of phosphate levels in your water. It has a large, easy-to-read LED screen. Ideal for agriculture, swimming pools, and fish tanks. Adaptation of Standard Methods for the Examination of Water and Wastewater, 20th edition, Ascorbic Acid method. The reaction between phosphate and the DPD reagent causes a blue tint in the sample.